In it, she says, “I was great at listing my characteristics and my skills. I was great at defending my right to be here by listing my value to other people or my contribution to the world. I was great and valuing my worth based on what I did for others or on how others felt around me. Do you know what I wasn’t great at? I had a similar awakening many moons ago, and I think it’s something that affects many of us. The truth is that we’re often confused about what self-love actually is and exactly how it’s done. 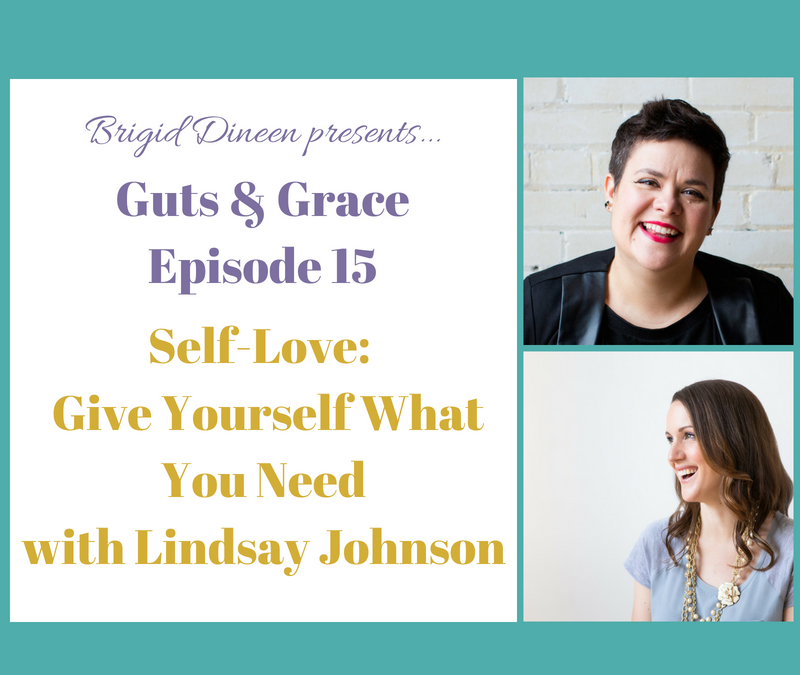 In this episode, Lindsay and I dive deep into the delight of learning to love yourself. Take a listen, and share your insights in the comments below. I believe we need to normalize self-love, and the best way to start is by talking about it. So let me know your thoughts, and let’s keep the ball rolling! Lindsay Johnson is passionate about building strong communities, while helping you connect more deeply to yourself, your business, and the world around you. She’s on a mission to move people into a place of radical self-acceptance and self-love. She does that by helping people become rockstar entrepreneurs. Bring your big ideas to life and learn how to grow your business at the Radical Biz Retreat this September. Connect with a diverse community of entrepreneurs for a jam-packed weekend full of business growth strategies, guest experts in growing your brand visibility loud and proud in the world, and big-thinking discussions on how you can build a business, and a life, you love. Get ready to dig in! You’ll be coming home with new entrepreneurial friends, your own unique road map and action plan for success, and a three month mastermind group to keep you growing and shining all year long! Guts & Grace listeners will save $79 off their registration with code: gutsandgrace. Get more info & sign up here. *Can’t make the retreat? All is not lost! Sign up for Lindsay’s 6 Week Business Accelerator program and get ready for clarity, strategic action, and rapid growth. Bonus: the gutsandgrace code for $79 off still applies!